Home Unlabelled ATTENTION MAGAZINE UNVEILS 22 YEAR OLD ACTRESS AND PRODUCER, NAMIA ROBERTS ON IT SEPTEMBER FRONT PAGE. 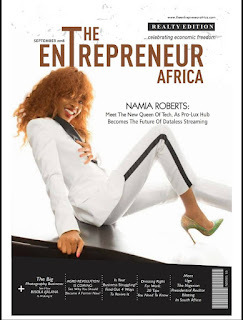 ATTENTION MAGAZINE UNVEILS 22 YEAR OLD ACTRESS AND PRODUCER, NAMIA ROBERTS ON IT SEPTEMBER FRONT PAGE. 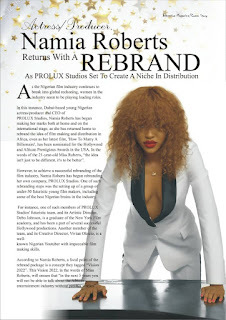 The September edition of the prominent and prestigious ATTENTION magazine has been unveiled with Actress Namia Roberts on its front cover. The long awaited September publication focused on the 22 year old Nigeria producer and actress who is presently based in UAE, Dubai. The choice of Namia Roberts to adorn this edition was as a result of her creative contributions and initiatives in film making and distribution. 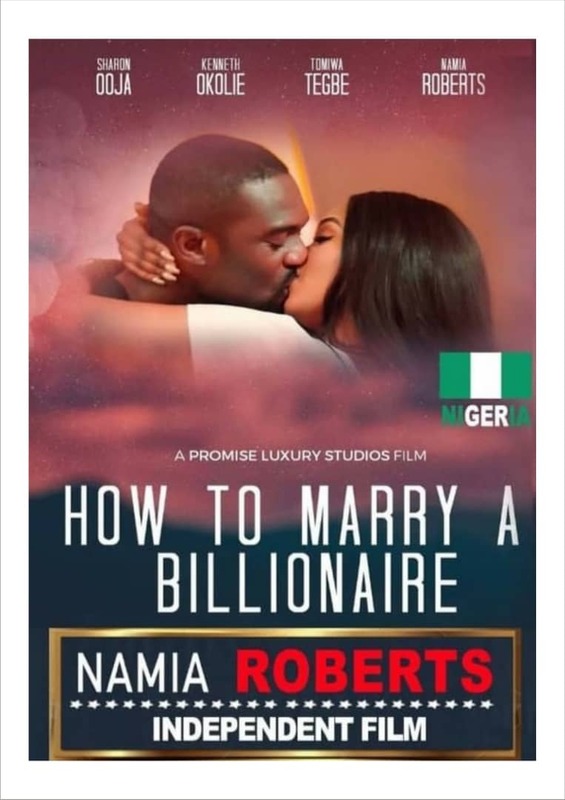 According to the publisher, Actress Namia has proved herself as a young and vibrant icon in the global movie industry. Her recent movie titled "How to marry a billionaire", was recently nominated for an international award in Europe, which brought her production company, "Promise Luxury Productions" to limelight. The September edition opened into several pages with engaging contents, educative information and relevant knowledge, that will keep our readers apprised and informed. It spotlighted various philanthropic activities, events, news and personalities. 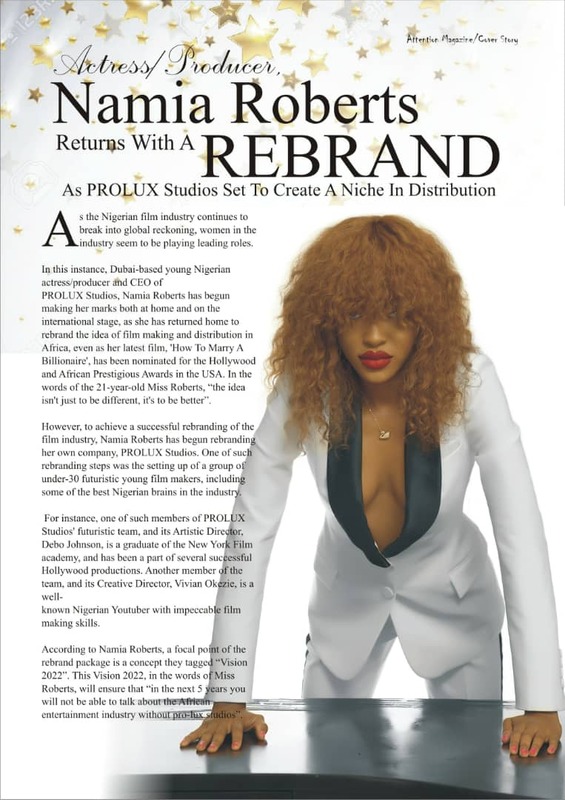 However, the young cover story personality and CEO of Pro-lux studio, Actress Namia Roberts will be 22years today and she told our reporters that the unveiling of Attention Magazine September edition was a commemoration of her glamourous birthday celebration which will be held in Dubai, UAE.